Police are issuing Erykah Badu a citation after someone complained about her stripping to her birthday suit on the streets of downtown Dallas. The Dallas singer has been charged with disorderly conduct, a Class C misdemeanor, for disrobing while shooting her "guerilla-style" video for the song "Window Seat" in Dealey Plaza last month. The decision to issue the citation to Badu was made after a complaint was filed this week with the police informing them of the complainant's disgust. "The city attorney's office and the Dallas Police Department has decided to charge the entertainer known as Erykah Badu with disorderly conduct. After much discussion, we feel that these charges best fit her conduct when she disrobed in a public place without disregard to individuals and small children who were close by," said Sgt. Warren Mitchell. The Dallas police said they did not plan to file charges against the singer unless someone complained. No witnesses in Dealey Plaza called police at the time of the incident. Now, a citation will be mailed to Badu. She faces a maximum fine of $500 and can either pay the fine or fight the citation in court. Badu released the controversial music video Saturday. Many people said her disrobing was, at the very least, disrespectful. Others said they didn't see the harm and seized the opportunity to parody the Grammy-winning singer, including K104 morning DJ Skip Cheatham, who shot his own video to her song while he undressed on the streets of Dallas. The music video begins with a 1963 radio broadcast describing President John F. Kennedy turning onto Elm Street. Badu is then shown in a parked car. Then she walks toward Elm Street while taking her clothes off. 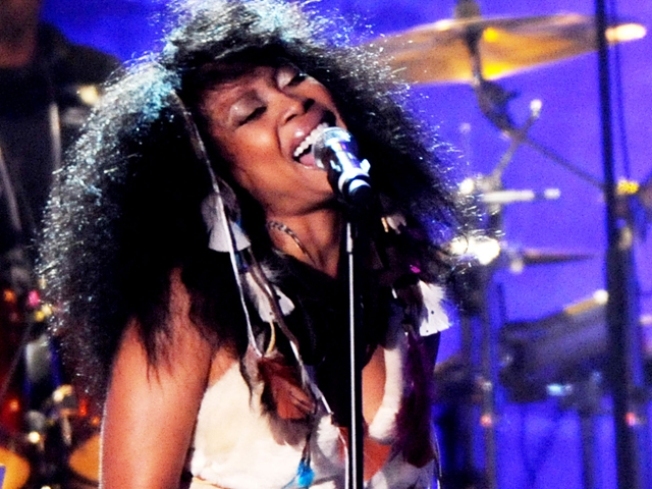 Badu said on Twitter that she could hear people yelling things at her, but she kept going. People were yelling things such as, "This is a public place," "You ought to be ashamed," and "Put your clothes on," she said. She said the people caught in the background were trying to ignore her as she shed the last of her clothing -- except for one man who grabbed her clothes. In the video, she falls to the ground at the spot where Kennedy was shot. The blood at the end of the video spells out "groupthink." Groupthink is "the unwritten rule that states; I will not express my true opinion if it opposes those I love and fear. I volunteer to censor me," Badu wrote on Twitter. Badu is scheduled to sign copies of her new album on Saturday at Good Records in Dallas. The store's owner, Chris Penn, said Badu's video was just an artistic expression. "As an artist, you want someone who is thinking outside of the box and giving you a means to escape," Penn said. Jimmy Holcomb, a shopper at Good Records, said he thinks Badu shot the video to drum up sales. "I think it's a publicity stunt, although a well-timed one, because of the album's release," he said. NBC DFW's Omar Villafranca contributed to this report.